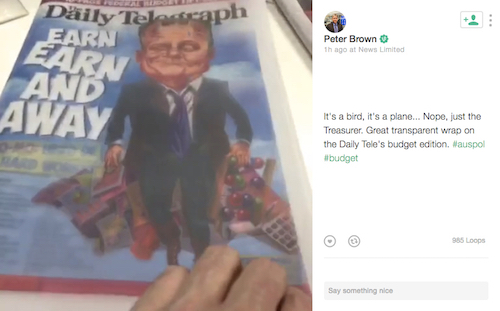 The Daily Telegraph branded Scott Morrison Superman for his federal budget. But commentators found plenty of kryptonite. The media coverage of the second Malaysia Airline's tragedy in six months ranges from measured to hysterical. Who to believe? Dennis Shanahan or Paul Kelly? 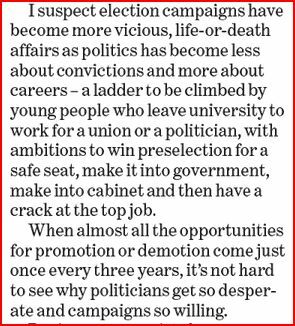 Our man sorts out the commentators of The Australian along with his daily look at the rest of the campaign media. What do the political and economic analysts make of the 2013 federal budget? Crikey wraps the commentary from the websites and newspapers. Russia's President -- and the media -- have remained fairly restrained on the Chechnyan link to the Boston bombings. Freelance writer (and Russian speaker) Sasha Petrova asks why. Is it a moral victory for Russia? After a "messy delay" a "dog's breakfast" that "fails the public interest test". And that's just one newspaper. 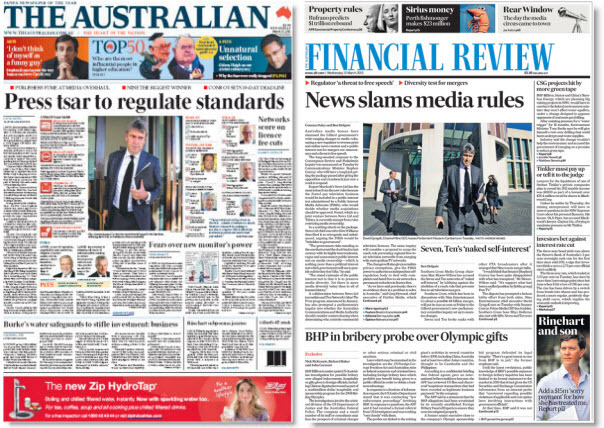 Crikey wraps coverage of the federal government's media regulation reforms. Julia Gillard's impassioned attack on Tony Abbott and Peter Slipper's resignation fired up political pundits. Who won the politics on a dramatic parliamentary day? Can the ranga beat the nerd? Daily Media Wrap: The idea of Julia Gillard sweeping in and taking over the leadership of the ALP has become the favourite media story of the last few weeks. But what's the chances of it happening? Rudd fights the mining bigwigs: who’ll win? Daily Media Wrap: The mining tax has become a sore spot for Kevin Rudd. Should he stop the whinging and start negotiating, or stand strong against the miners? The Korean peninsular is on war footing after an attack on a South Korean warship blamed on its rogue northern neighbour. Crikey intern Matt de Neef wraps the global condemnation.